I jumped at the opportunity to attend the Hermes' "Leather Forever" Exhibition held at the Royal Academy in London last weekend. 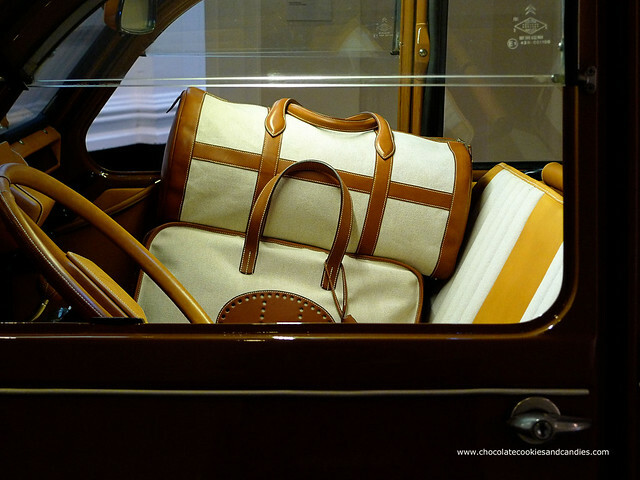 The visual and tactile display was a spectacular indulgence for the Hermes lover. 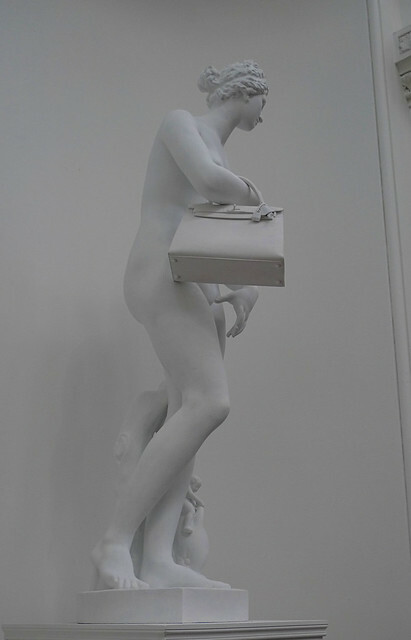 I could only marvel at the creativity of the set designers who'd thought of different ways of educating the public about Hermes' unique tradition, mastery and artistry of leather goods. Large pieces of tanned and processed skins (taurillon clemence, epsom, togo, box) dyed in the latest seasons' colors are hung on hooks for the attendees to touch. They'd also included exotic skins such as crocodile, ostrich, lizard and alligator, all neatly placed on top of each other. Unfortunately, photography wasn't allowed inside the exhibition or else I would've happily snapped away. It was a rare opportunity where the public was allowed to see firsthand the intricate and painstaking process of how a Hermes bag was made. There wasn't a machine in sight but plenty of traditional tools to cut, splice, stitch and hold the pieces of leather. The two artisans were forthcoming with information. I've decided to split the post into two as it's not possible to pack so much into one. Here's what I've learned from the two artisans. 1. Most of the artisans would've gone to an external leather college before applying for an apprenticeship at Hermes. Nadia, one of the two artisans was a special case where she had no previous experience. After a rigorous interview process, 12 were chosen from 400. They were then put through more tests before the remaining 6 were accepted into the academy. To date, there are only 2000 artisans working for Hermes in France churning out bags for more than 300 stores worldwide. 2. It takes 5 years of apprenticeship to be considered an artisan. The artisan is allowed to choose the type of bags s/he wants to make. Some artisans only prefer to make one type of bag. Only those who have a rare talent are allowed to make custom orders as they will be involved with the design, construction and production of the item. 3.The most difficult bag to make is a Kelly. It's also the first bag that an artisan has to master before he or she is allowed to make other bags. The handle consists of 7 layers of leather compressed and then mold into shape by hand. It takes 20 - 25 hours to make a Kelly. On average, one bag takes 15-20 hours to make. I walked out with a different level of appreciation for Hermes bags. Don't forget to check out Part 2 tomorrow! Fabulous! Thank you so much for sharing your experience re: this exposition. I've been longing to go, and this is the next best thing. One of the things I most appreciate about Hermès is the willingness to share the experience of making its items--which is easier perhaps since sharing details cannot translate into stolen ideas. Like the detail about the Kelly handle and its layers of leathers . . . . Swoon. It makes me appreciate my bags all the more. I'm also happy that Hermès displayed leather for attendees to touch. What an education to be able to see and feel the various types of leather. That's not only great PR but also a good way to eradicate fakes. If people know the difference, then less fakes will find their ways into home . . . . I couldn't agree more. It's far easier to spot the fakes after having seen the bags and leathers up close. I hope you get a chance to go to a similar exhibition. I just about swooned when I saw so many H bags at one location. What an awesome exhibition you went there. I had to admit that i didnt think Herms bags were any beautiful until the day i saw them in real life at the store. The leather and craftmanship are just beyond anything i have seen or touched to the point that i dont want to buy any other bags ever again. I know what you mean. I never thought I'd be into Hermes bags. Crazy expensive bags UNTIL I saw one up close. It's unbelievable the amount of concentration an artisan has to have just to make the bag. You lucky girl! I would kill to go to this exhibition. Thank you so much for the pictures. LOVE the picture of the statue with the white Kelly! Did the car smell luscious inside? I can just imagine. You didn't see me trying to sniff the leather when I was in the exhibition. I had to look around just so that no one was looking. I was going to do the spy thing and secretly snap a few shots but there were too many security guards milling around. How lucky you are to have seen this! Makes me love my H bags even more! no wonder they are so expensive!!! =) I'm a hermes lover too and have a few pieces that i only wear on special occasions. For the price, I want to preserve it as long as possible ;) Lovely post! xO! Ooh, I would've loved to attend an exhibit like this! Too bad you weren't allowed pictures inside - I'm sure it was amazing! Thanks for this exceptional post. It's so rare to actually have insight into what goes into amazing creations. What an honour it must be to be a Hermes artisan! I have utter respect for them after reading your post and knowing just what they have to achieve to work as such highly regarded craftsman. I just read about this exhibit - so excited that you were able to go!! Amazing..such fine craftsmanship for those hermes bags. I always just lust over them, they're gorg. 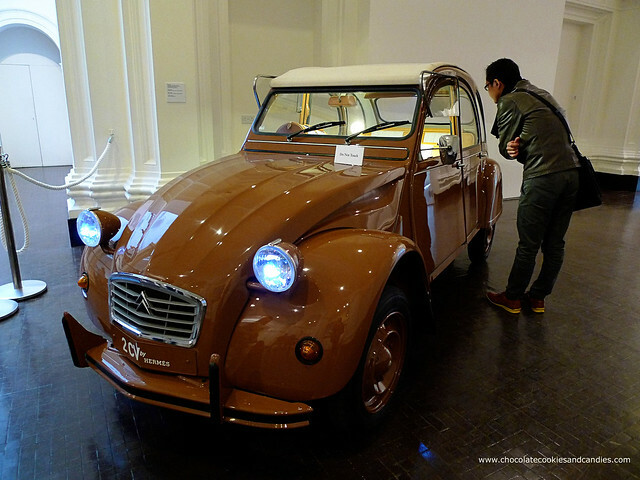 Thanks for sharing your impressions on this exhibition! 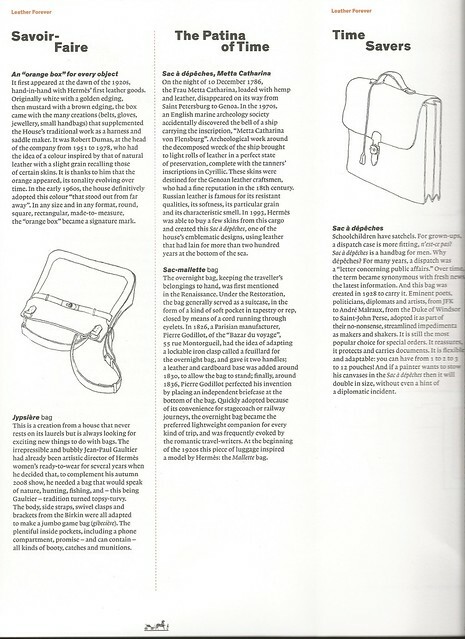 You really do have a better appreciation of products when you learn how they are made, especially those which require such a special craftsmanship like Hermès bags.